My name is Esmarline De León Peralta, a future physician-scientist, flight surgeon and astronaut. I am determined to be part of a group of experts and professionals that will develop key technologies for travel to and living on Mars. Furthermore, I would like to assist in developing the systems necessary to support astronauts’ and communities’ adaptability and survival in the environment on Mars. As an aspiring physician, I believe the advancements created as we continue to research what life could be like on Mars could also impact global health by providing healthcare accessibility and point-of-care technologies for both developing countries and under-developed areas. I began to appreciate the importance of engagement, perseverance and empathy at a young age, largely due to the lack of resources and opportunities in my home country, the Dominican Republic. I grew up in a house made of tin and wood, where water and electricity were not always accessible, and even my home was not accessible during hurricane season. We moved to Puerto Rico when I was ten years old looking for better educational opportunities and a better life. My mother was denied career opportunities in the field of systems and computer engineering because her degree was obtained in a foreign country. Learning about challenges and inequalities was hard at a young age, but these experiences made me stronger and shaped me into an overachiever and passionate dreamer. Esmarline outside her workplace at NASA’s Ames Research Center. My journey to NASA has been one of the most inspiring challenges of my life. My immigration status affected my NASA goals but gave me the courage and inspiration to prepare and become not only a U.S. permanent resident, but an official citizen. I am a 2014 NASA Minority University Research and Education Program (MUREP) scholar, for which I give thanks to Ms. Elizabeth Cartier at ARC for her encouragement and constant support throughout these years. 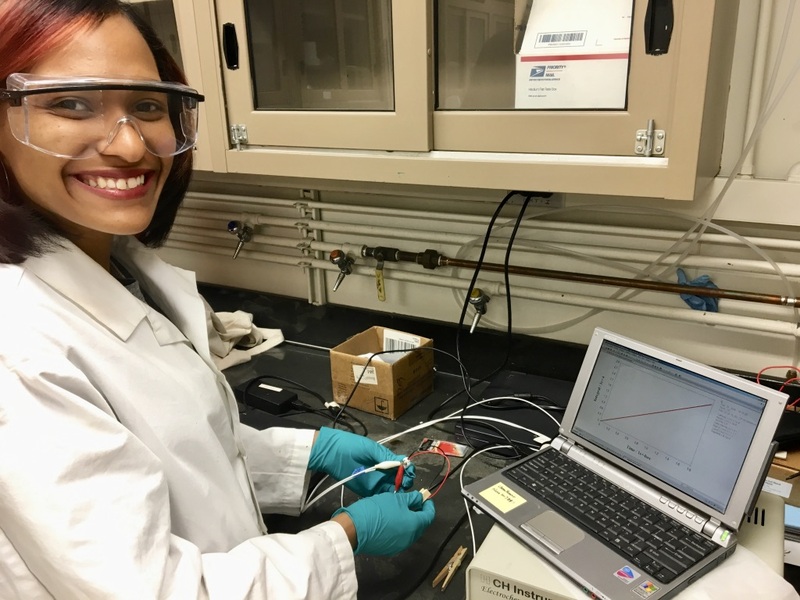 My NASA interests, along with my desire to address problems in health and understand how chemicals impact the biomedical engineering field made me choose a career in chemical engineering at the University of Puerto Rico-Mayagüez. Since 2012, I have had experiences researching in biologically-inspired engineering labs at universities and hospitals such as Harvard University, Massachusetts General Hospital, Georgia Institute of Technology and Ohio State University. My interest in biomedical sciences and engineering encourages me to get a M.D.-Ph.D. as a physician-scientist in bioastronautics. Esmarline at work in a NASA ARC lab. 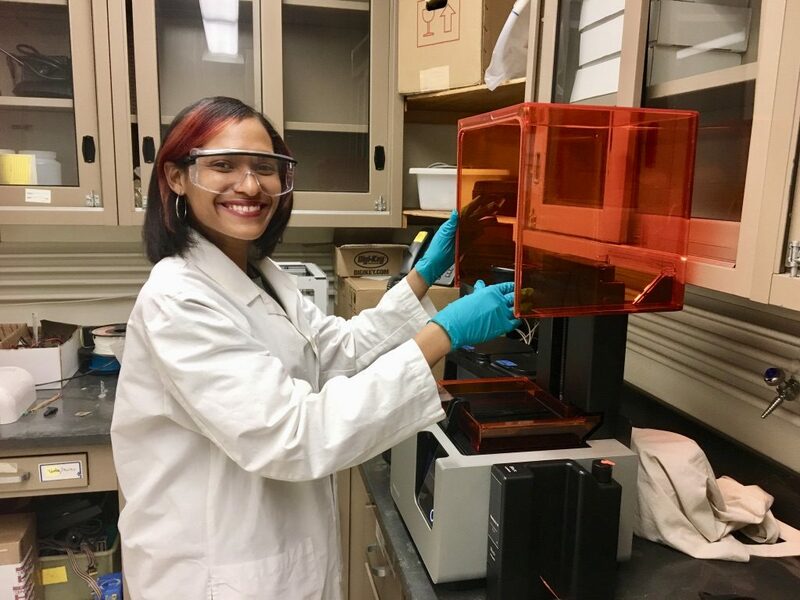 My passion for biomedical devices using 3-D printing was amplified after researching at Massachusetts General Hospital. 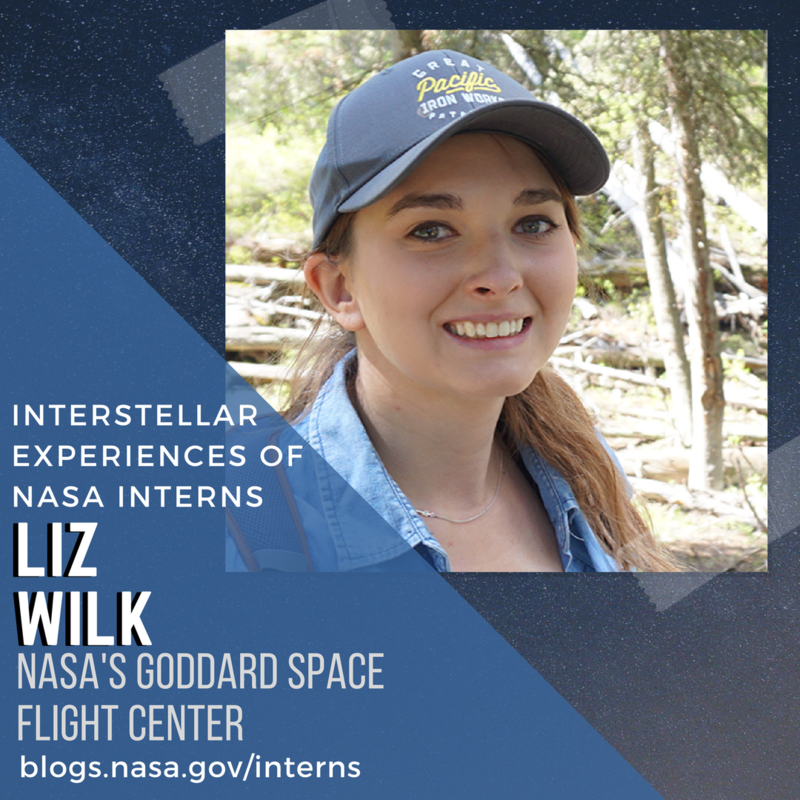 When accepted at NASA, I felt that my dreams had come true and I was home where I belonged. 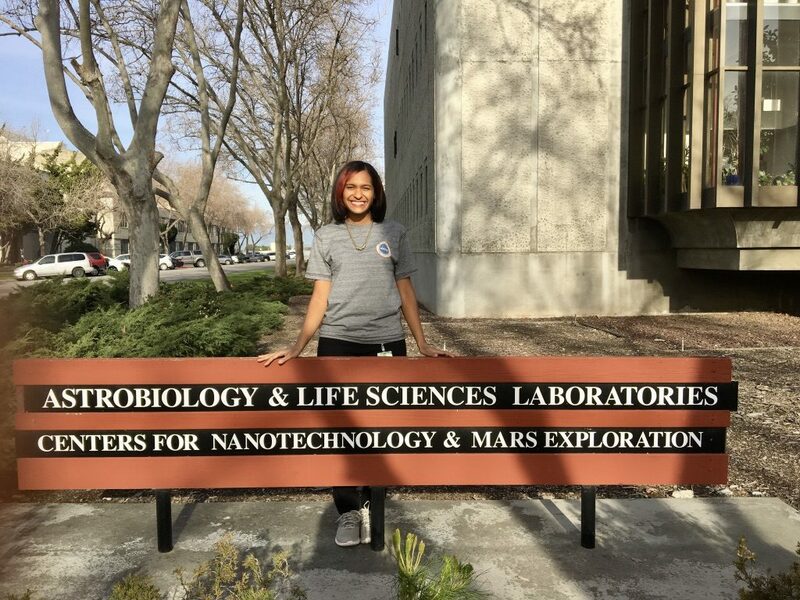 I am currently a spring intern at NASA’s Ames Research Center in Silicon Valley. I am working in the Entry Systems and Vehicle Development Branch with Dr. Jing Li developing ultra-light weight batteries using 3-D printing technology and nanotechnology. This cutting-edge technology will enable new power and tools for space exploration and building human habitats in space. During the summer of 2018, I will be interning at NASA’s Marshall Space Flight Center in Huntsville, Alabama. I will be working with a 3-D printer identical to one currently in space, the n-Scrypt 3-D printer, supporting 3-D multi-materials and process parameters for 3-D printing and helping in the fabrication of conductive inks to print small circuits under the mentorship and guidance of Mr. Curtis Hill.